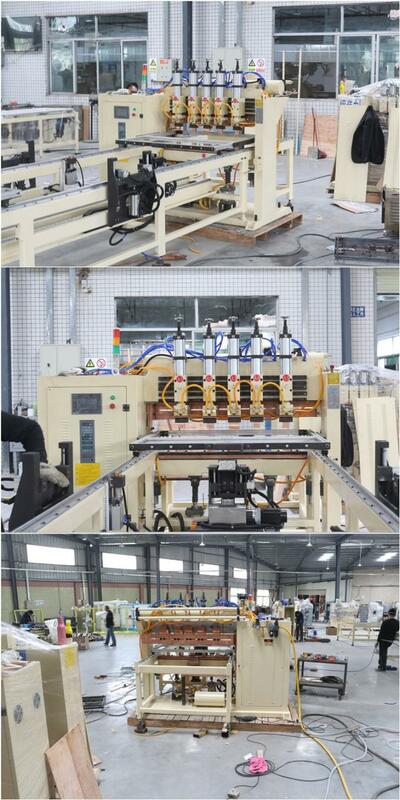 We adopt the design of five groups of welding heads gantry type welding machine .This machine is composed of gantry type support, welding transformer, pneumatic drive device, upper and lower electrodes, electrical control system, cooling system, and PLC operation control system. 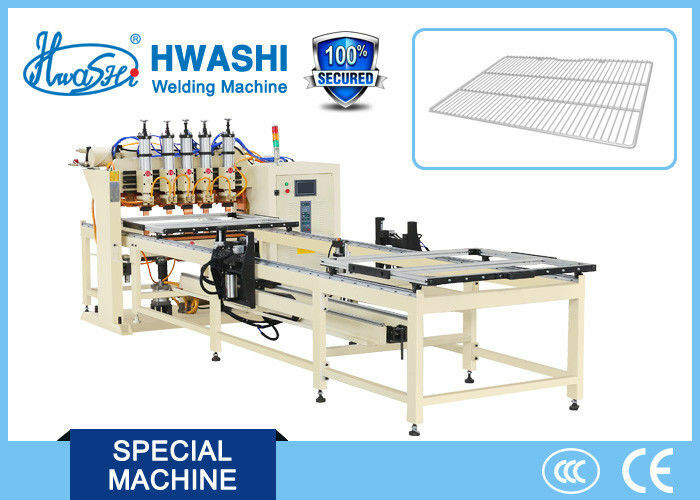 The worker only needs to put the material into the jigs and press the start button, then the machine will automatically finish welding.This machine is specially customized to weld Kitchen Wire Tray / Wire Shelf . 3. Genuine Product with Excellent Quality: 12 months warranty. 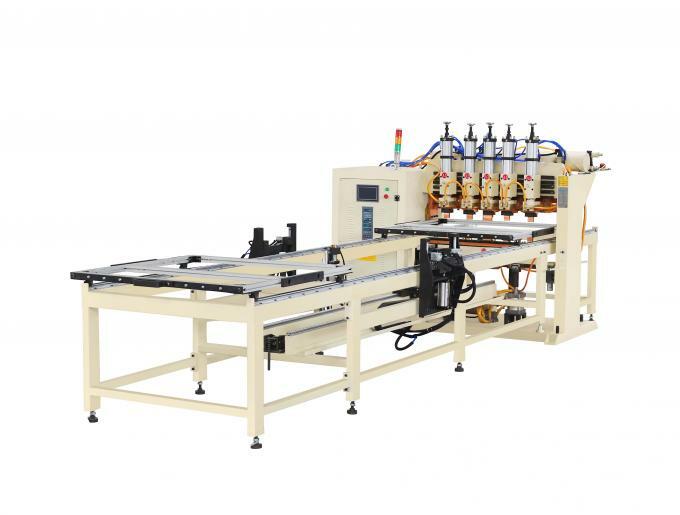 Our machines are strictly complied with ISO 9001:2000 and China Compulsory Certification. Most of our machines enjoy 8-10 years service life. 100% guarantee test before delivery.